Meet the Arrow Head, a new vector set full of essential assets and some crazy creative stuff: arrow vectors and pattern brushes for Adobe Illustrator! 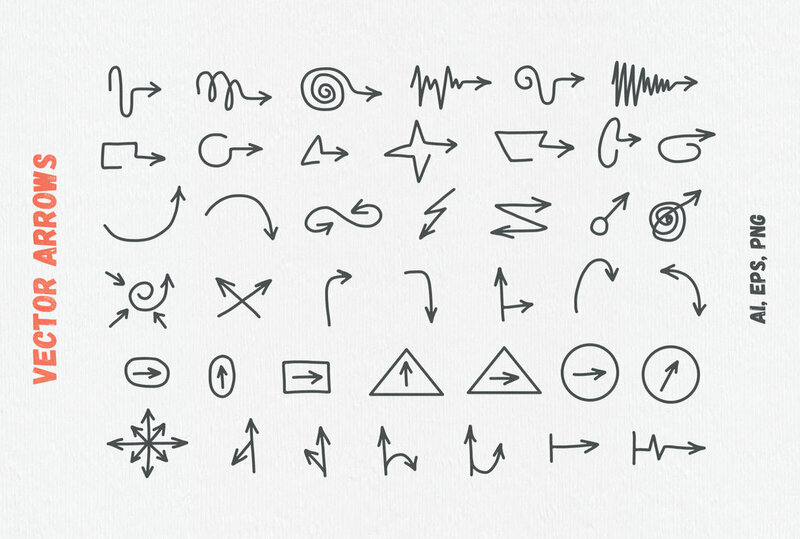 Add over 160 hand-crafted vector arrows to your toolbox and keep them by the hand to drop them on your artboard when you need. It's all here — from basic arrows symbolising motion, transition or repeats to the most bizarre and inventive directions that would fit perfectly a playbook for a Super Bowl game! The best part it doesn't matter how crazy included doodles are, you can overcome them easily with 20 pattern brushes for Illustrator that come with the pack. Just apply them to any shape, path or drawing to make a genuine hand-drawn outline or the most sophisticated arrowed line in the industry.